I went on a quest to find something equivalent in the States, but some things just don’t hop oceans very well and this is one of them. So my solution? Homemade rice pudding. It’s the only way to go. I loved this recipe. It was quick, easy and the aroma of boiling milk with almond seriously makes me want to cry every time I smell it. The recipe that I adapted this from recommended to use medium grain rice due to a perfect starchiness to thicken the pudding. However, I used long grain rice (problems of being on campus with only one grocery store and a limited choice of rice) and I thought the results were just fine. In fact, they were beyond fine. They were absolutely heavenly. 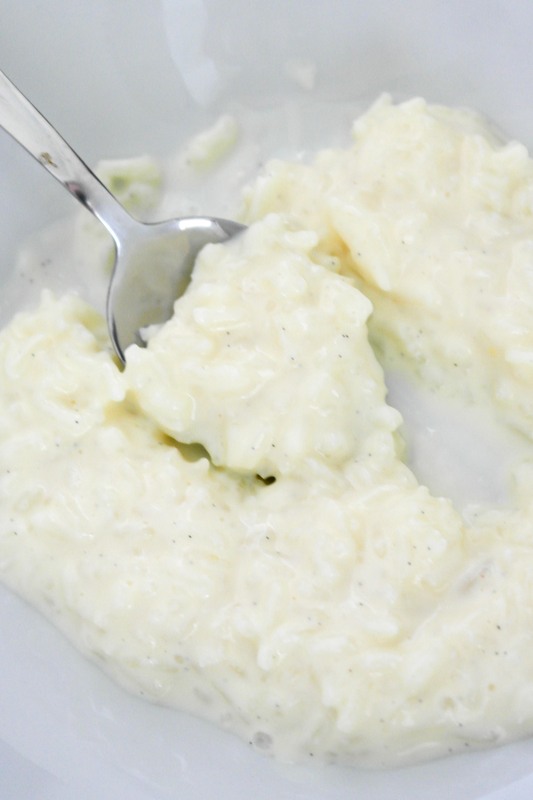 Nothing like a fresh bowl of classic rice pudding to warm the soul on a cold winter night. 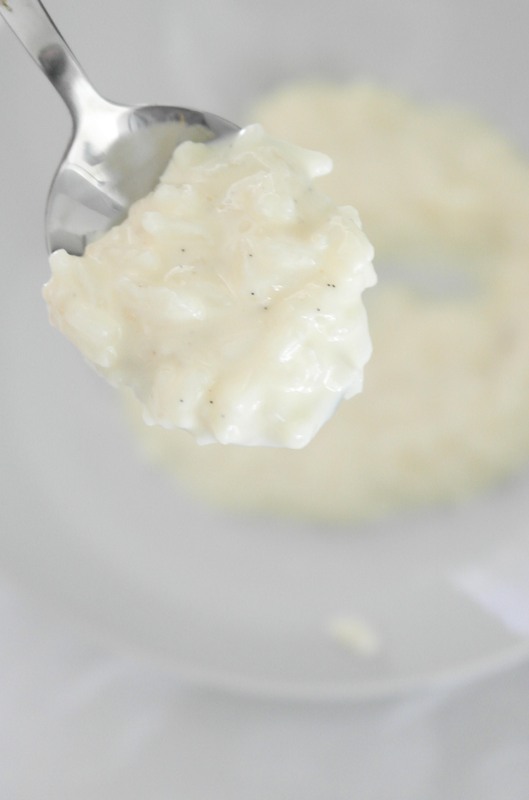 Dump the milk, rice, salt, and split vanilla bean into a large, heavy saucepan. Bring to a boil over high heat, stirring constantly. Reduce the heat to low, cover, and simmer gently, stirring occasionally, for 15 minutes. In a medium bowl, whisk the egg yolks, sugar, and vanilla extract (if using). Slowly add the cooked rice mixture, whisking constantly. Pour the mixture back into the saucepan, making sure to scrape the bowl. Set the pan over medium-low heat and cook, stirring and scraping the sides and bottom of the pan constantly with a wooden spoon, until the mixture has thickened and coats the back of the spoon, about 1 minute. Transfer the pudding to a bowl or serving dish and lay a sheet of plastic wrap right on the pudding’s surface to prevent a skin from forming.